Earth Sciences alumni are changing lives and making a difference around the world. We are proud of those achievements and delighted to remain in contact with so many of our graduates from both undergraduate and graduate programmes, be they Geology or Earth Sciences, from the old building or the new. With an annual magazine, dinners, networking and other events throughout the year, there are many different opportunities for you to keep in contact with the Department, contemporaries and fellow alumni. Alumni are welcome to get in touch with submissions for the magazine, to re-establish contact with former tutors, for business and/or research collaboration opportunities, to offer work placements or careers advice to students, or simply to visit the Department (which is well worth a look if you have not yet seen the new building, or wish to see how we've bedded in!). We hope our programme offers something of interest to all alumni. If you have an idea for an event or opportunity for engagement, do get in touch. Earth Sciences Alumni are active online, with regular updates from the Department. 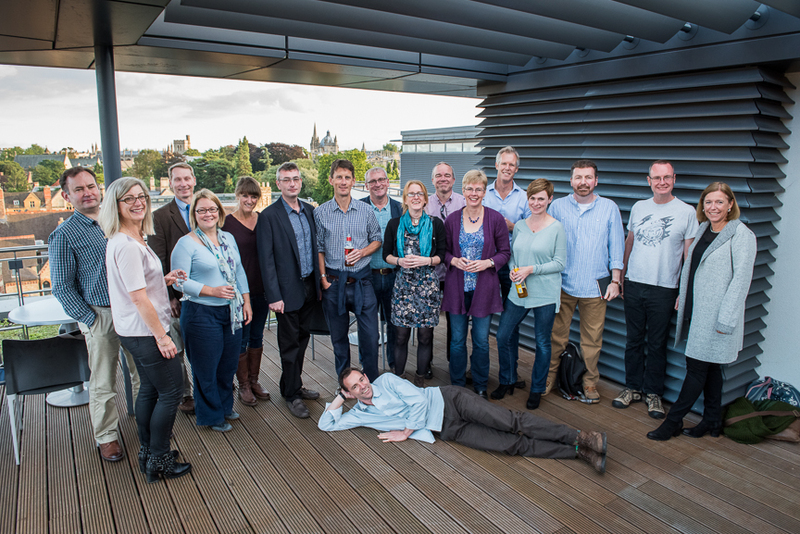 Twitter - Follow @oxuniearthsci and keep up to date with our academics such as @davidmpyle, @tamsinmather, @TonyEarth, @conall_macn, @drsturobinson @NickTosca1 and @RichardThomasW. Instagram - Photos of fieldtrips, lecturers, behind the scenes discoveries and more - perfect for alumni and prospective students alike! To protect the privacy of our alumni, many parts of the site can only be accessed by logging in to Oxford Alumni Online. If you have not already registered with Oxford Alumni Online, please click here to do so.